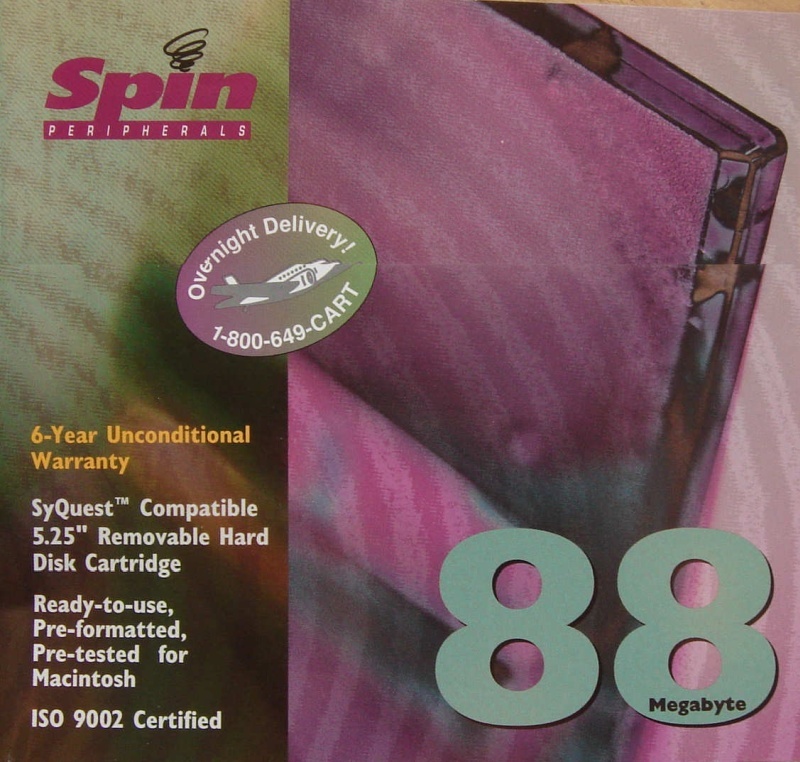 Spin Peripherals 88mb syquest cartridge. We receive most of these disks from the USA where they appear to have been more popular. Our Syquest drive has managed to read all the disks received proving that so far they appear quite reliable. However like most magnetic hard disks they will start to deteriate over time so probably best to copy the data to newer more modern format such as CD, USB drive etc. If you need a Spin Peripherals 88mb syquest cartridge service, then contact our friendly company. Spin Peripherals 88mb syquest cartridge. We receive most of these disks from the USA where they appear to have been more popular. Our Syquest drive has managed to read all the disks received proving that so far they appear quite reliable. However like most magnetic hard disks they will start to deteriate over time so probably best to copy the data to newer more modern format such as CD, USB drive etc..